It may be hard to believe, but the young reprobates you see staggering out of Kraków’s bars and clubs actually represent the country’s educational elite. 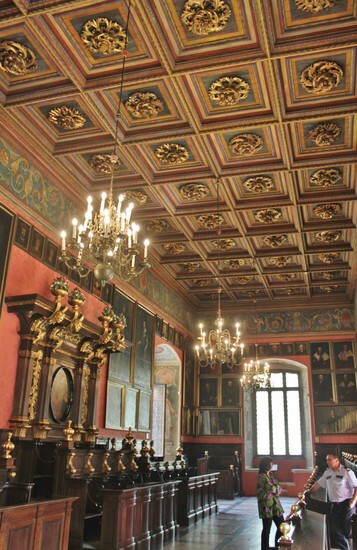 Kraków’s Jagiellonian University is rated as Poland’s best institute of higher learning, as well as being one of the oldest in the world – in Central Europe only Prague’s Charles University predates it. 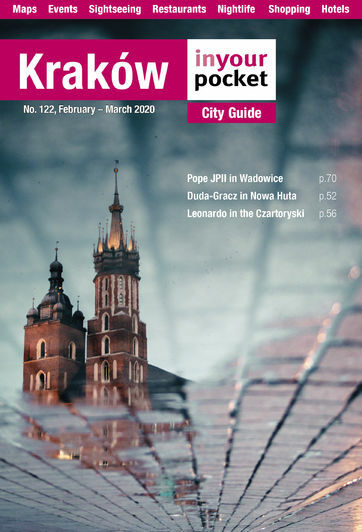 Its story begins in 1364 when, after years of pleading, King Kazimierz the Great finally persuaded Pope Urban V to grant permission to establish a seat of higher learning in Kraków, which the King primarily funded with proceeds from the nearby Wieliczka salt mines. 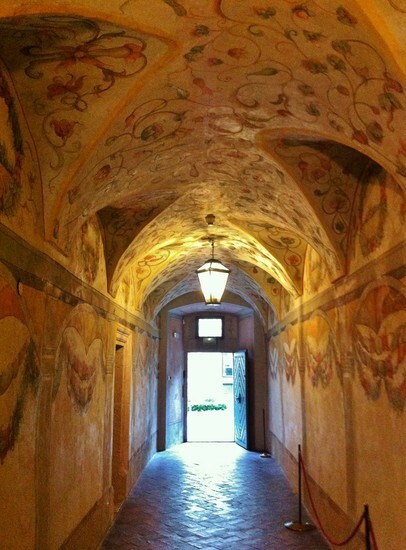 Three years later the school bell was ringing in the lessons, namely philosophy, law and medicine. 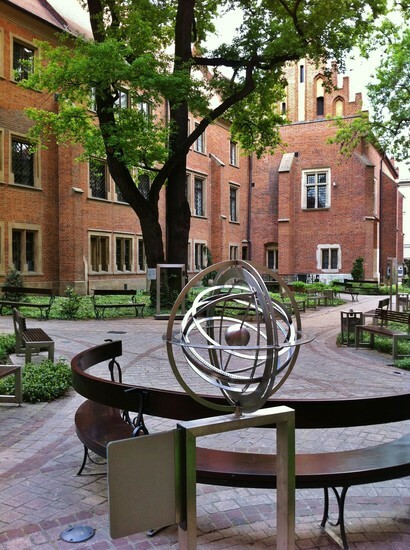 Originally named the ‘Kraków Academy’, the university started to flourish in the following century when math, theology and astrology were introduced, attracting eminent scholars from across Europe. 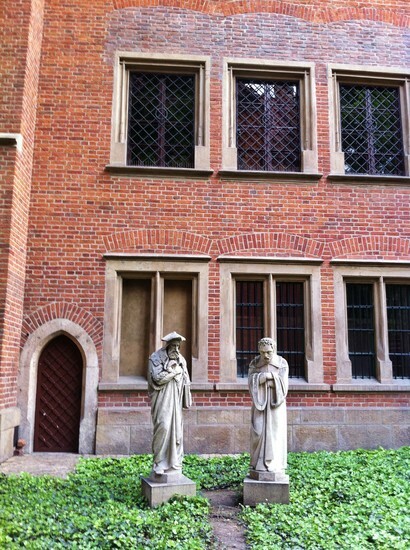 The rapid expansion necessitated a larger campus and the building today known as Collegium Maius was built in the latter half of the 15th century. It was here that Nicolas Copernicus – who would later go on to revolutionise our understanding of the universe – studied from 1491 -1495. 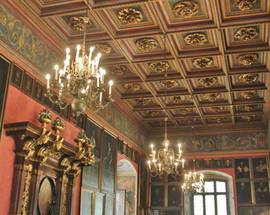 The university’s ‘golden age’ was certainly during the Polish Renaissance in the early 16th century when the Jagiellonian Library was established and the school set an attendance record that wouldn’t be surpassed until the late 18th century. When the country’s capital was moved to Warsaw in 1596, the university’s fortunes declined along with those of the city. 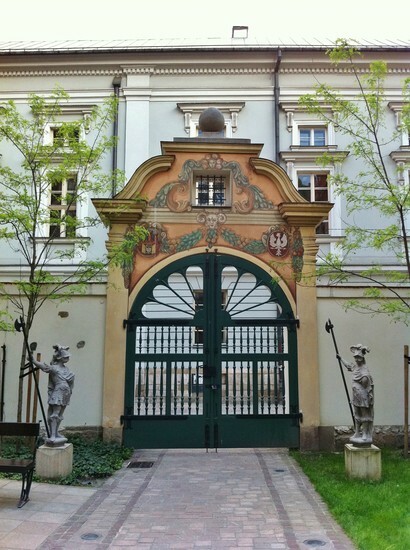 During Poland’s era of partitions the university was actually threatened with closure before being saved by a decree from Austrian Emperor Ferdinand I. In an about-face from their initial hostilities towards the university, the Austrians began to invest heavily in its development and by the 1870s the school had re-established its lofty reputation. 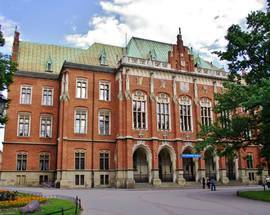 It was at this time that the Neo-Gothic Collegium Novum was built and one of the university’s greatest moments came in 1883 when professors Zygmunt Wróblewski and Karol Olszewski achieved the liquefaction of nitrogen and oxygen. 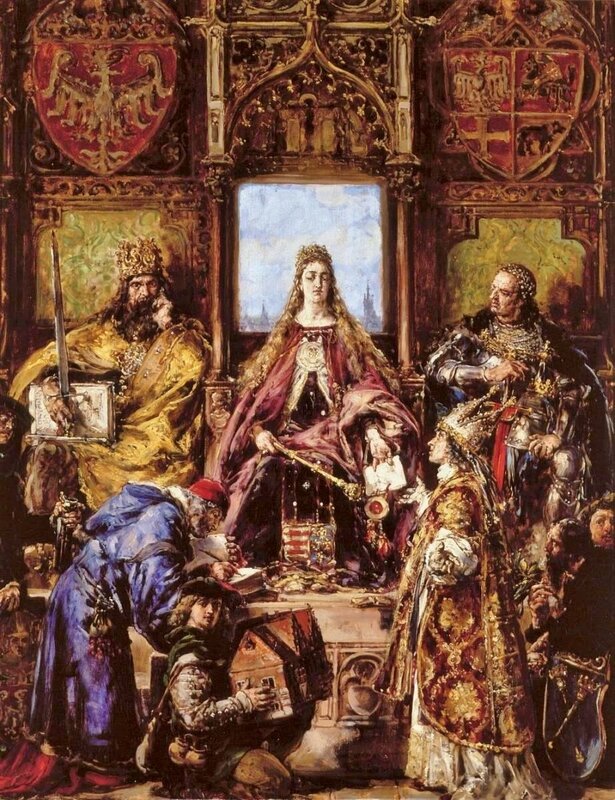 Concurrent with a common theme throughout Polish history the prosperity was again fleeting. In 1939 the Nazis occupied Kraków and arrested the university’s professors during ‘Sonderaktion Krakau,’ sending them to the Sachsenhausen and Dachau concentration camps. Many never returned, but those that did helped form the underground resistance university which was in place until the war’s end. 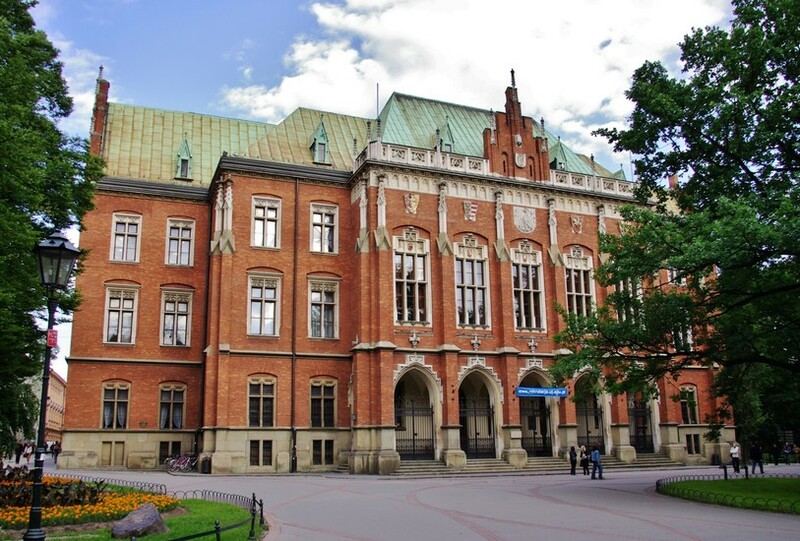 Jagiellonian also played its part in the anti-totalitarian protests of the ’60s and ’80s, and today is once again the top-ranked training ground of Poland’s educational elite. Poland’s entry into the European Union in 2004 has greatly increased its fortunes and funding with the development of new departments and better facilities, including the new so-called ‘Third Campus’ or ‘The 600th Anniversary Campus’ in the Pychowice district. For the 2015/2016 academic year the university enrolled 47,494 students in 87 programmes of study. 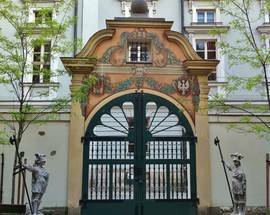 With centuries of student enrolment, Kraków’s job dodgers deserve more attention than most. The uni’s first female student, named Nawojka, entered academia 500 years before it was permitted (in 1897) by passing as one of the boys. 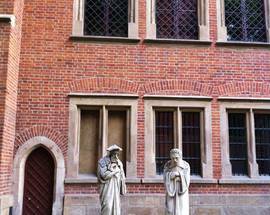 Her fabled time at the uni predates by almost a century that of its most famous alumni - Nicolas Copernicus, a product of the class of 1492. Lauded as the founder of modern astronomy, you might know him for being the first to assert that the earth orbited the sun - a conclusion which he came to while studying at Collegium Maius, and which he left unpublished until only months before his death, for fear of being burnt at the stake. 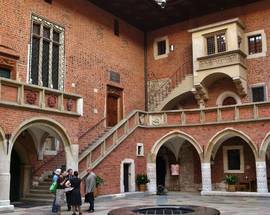 Other students of note include Jan Matejko, who would go on to paint many of Poland’s most revered works of art - see some of them in the 19th Century Polish Art Gallery, visit his house (today a museum) on ul. Floriańska, and see his monument next to the Barbican. Karol Wojtyla, better known today as Pope John Paul II studied in the philology department, as did the Nobel Laureates Wisława Szymborska and Ivo Andrie. Not that all students proved so diligent; Stanisław Lem, who would go on to pen the sci-fi classic Solaris, hated his medical studies so much he flunked his exams on purpose. From its early beginnings Jagiellonian’s students proved a bit of a handful; exempt from local justice and answerable only to the rector they frequently ran wild - the Hungarian students particularly prone to launching pogroms on the town’s Jewish population when that was in fashion. And if they sound bad then they’re not a patch on Pan Twardowski - also known as ‘the Polish Faust’ - who allegedly studied alchemy at Jagiellonian in the 16th century before gaining notoriety for entering a pact with the devil and riding around on a giant rooster. 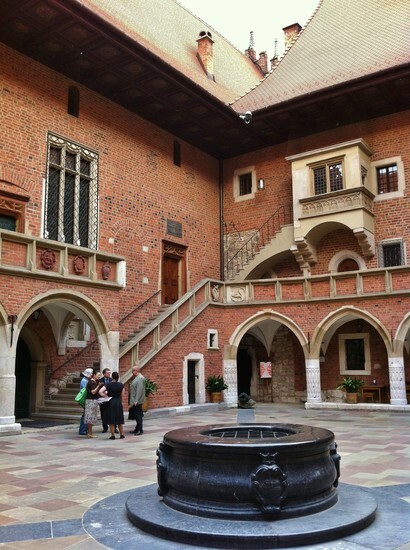 Jagiellonian is made up of several campuses and academies all over Kraków, but the main points of interest to tourists are all clustered around ul. Św. Anny and ul. Jagiellońska, just minutes from the southwest corner of the market square. 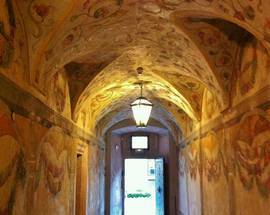 Collegium Maius – the university’s oldest building and home to its museum - shouldn’t be missed. 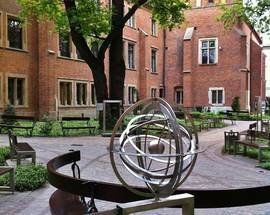 Adjacent is the picturesque Professors' Garden, and around the corner you’ll find the beautiful Collegium Novum, beside which stands a monument to Copernicus. Intensive or non-intensive, individual or group Polish language classes available for all levels through one of the oldest universities in Europe.